Audio-Technica is now offering its new Installed Sound Support App, featuring a number of tools for system integrators, sound contractors, FOH engineers, musicians and other audio professionals in the field. 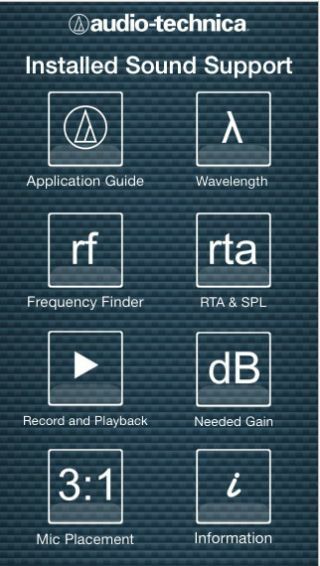 This easy-to-use app was developed based on direct feedback from working professionals, and includes useful calculators, meters, record-and-playback functions, A-T mic application guide and more. Compatible with Apple iOS devices such as iPads and iPhones running iOS 5.1 or higher, the app is free and can be downloaded by visiting the Apple App Store on an iOS device.